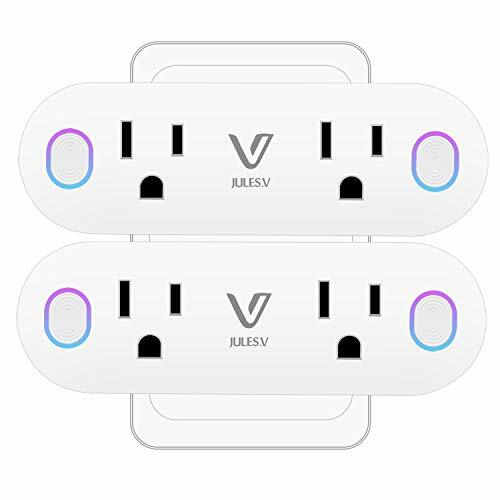 Control your smart lights, led bulbs, ceiling fans and your other smart devices from anywhere. Voice control with Amazon Alexa and Google Home. Compatible with IFTTT, lets you have more fun with HUGOAI in-wall light switch. Step 1: Refer to manual to add the smart light switch to “Smart Life” APP. Step 3: Enable a Skill which is “Smart Life” in Alexa APP/Google Home APP. Step 5: Discover the smart light switch and control your device with voice. 1. Live, load and neutral wires are required. 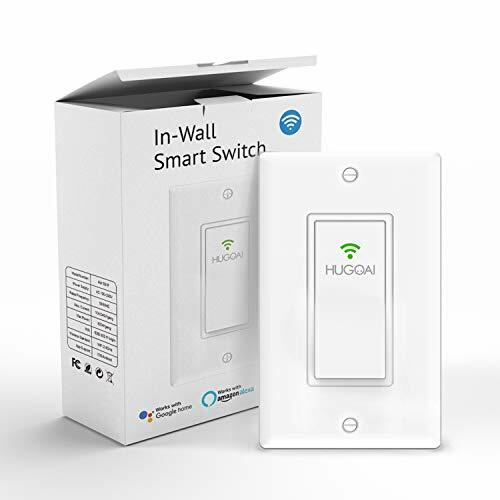 【Compatible with Alexa & Google Home & IFTTT】HUGOAI wireless switch perfectly supports Alexa devices e.g. Echo, Echo Show, Echo Spot, Echo Dot, Echo Plus, Echo Tap, FireTV Cube, Google Home and Google Home Mini by voice control. It is also compatible with IFTTT. You can turn lights on/off automatically when you leave your home with the free downloadable app. 【Remotely Control from Anywhere】Wirelessly control the lights and fans from HUGOAI light switches via the free downloaded APP on your phone from anywhere. Added benefit of saving energy when lights are not needed or are left on by accident. 【Set Schedules and Timers】Set porch light to turn on at sunset. Schedule ceiling fans to turn before you arrive home. Sync on and off times to sunrise and sunset, and more. 【Physical Button & LED Backlight】As a traditional switch, it react really fast. The physical on/off switch ensures a longer life. It can hold pressing for 300,000 times with clear touch tone. 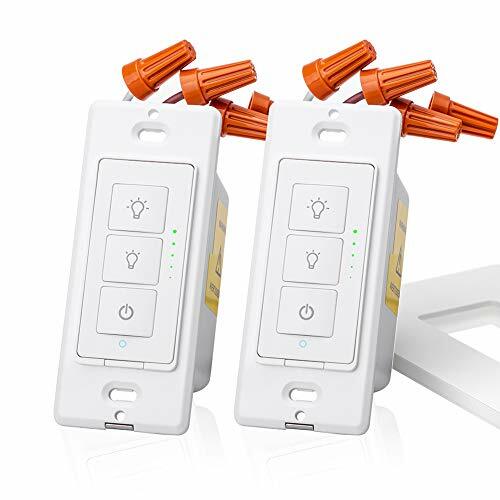 With LED backlight, no worry to reach the smart light switch in dark. 【Device Sharing】HUGOAI in-wall smart swtich allows you to share your device to your family members. One mobile phone can control many switches also. 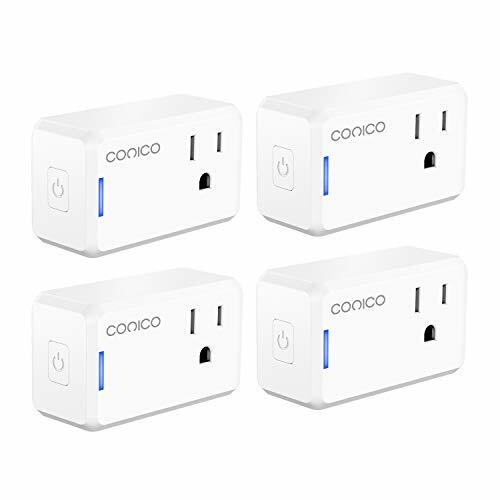 Smart switch makes your life smart and easier. NOTE: This wileless switch works with any one-way connection light switch (not compatible with 3-way). Live, load and neutral wires are required. Only works with 2.4 GHz Wi-Fi network.